SodaStream is secretly the most popular kitchen gadget in the world. 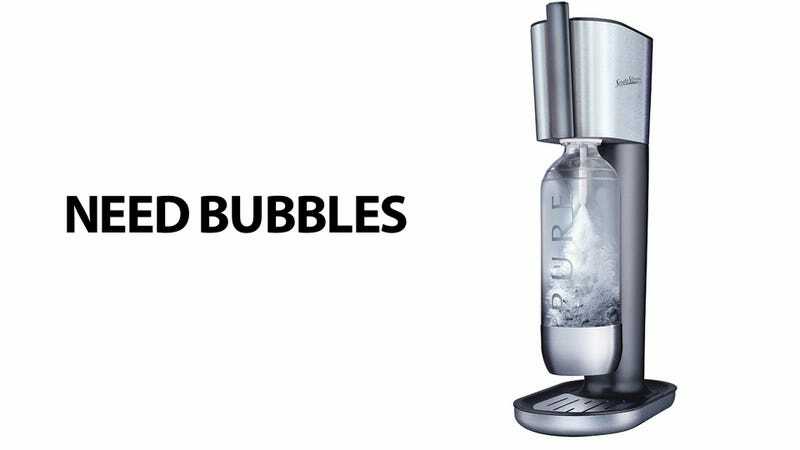 It almost doesn't make sense: All it does is turn tap water into sparkling water. So what gives? We polled our Twitter followers to find out. The world's obsession with SodaStream is weird. Can't you just buy a bottle of cheap seltzer when you've got the hankering and deal with tap water the rest of the time? But if you so much as question a friend's devotion, you'll spend the rest of the conversation apologizing as if you'd challenged a deep-seated religious belief.